Mango Hostel has always been a special place where a home-style atmosphere and a taste of the local life are emphasized. 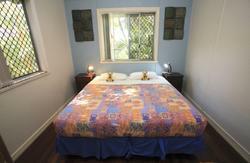 There are a maximum of eight people accommodated in double, or share rooms/dorms. The owners are very passionate about travel advice, mainly regarding Fraser Island, as they have had many years experience with bush walking options and all tours with exciting transfers to and from the island for all levels of enthusiasm and fitness. 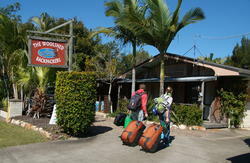 There is a great range of Fraser Island tours departing from the Mango Hostel every day and can be booked with us. The hostel is situated 200m (less than 5min walk) from Hervey Bay's beachfront with shops, restaurants, Internet, supermarket, bars & cafes. You always get a good description of what is nice to do or eat around the area. After a complete renovation the house has even more security, character, and comfort. We provide free WIFI ,an equipped kitchen, common room/living room, separate toilets and showers for males and females, laundry, and an outdoor dining area with a tropical-island theme. 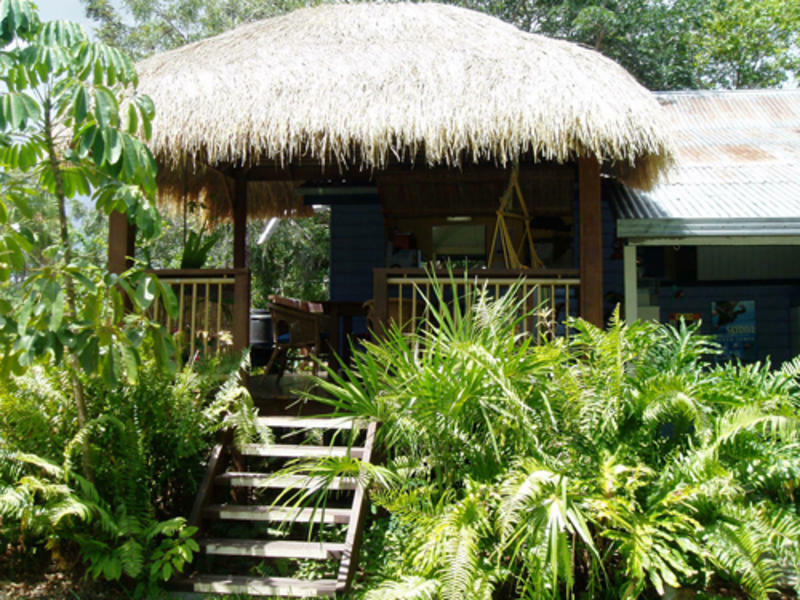 Gardens are lush with verandahs and deck area, a perfect place for spotting wildlife. The owners have contact with some local people with yachts, aircraft, kayaks, 4WD-vehicles and knowledge of the unvisited reef, island, and outback areas. It's getting harder to find out about these things. Be passionate Stop rushing it! Our office hours are from 7am-12pm and 2pm-8pm. For guests arriving by car follow BOAT HARBOUR DRIVE into town until you meet MAIN STREET.turn left into Main Street go almost to its end and turn right into TORQUAY ROAD. After 1km you'll find us on your left hand side.